A UK–based photo studio with a penchant for following a unique style of photography related work. Being located in the U.K., the customer is inundated with large amounts of images on a daily basis, for further augmentation and processing. The customer regularly shoots portraits of an array of subjects including, but not limited to, families, children and nature. As such, the customer requires the photographs to be edited in a certain predetermined way and is particularly meticulous about punctuality and high quality. A company that would share the customer’s growing workload with regards to image enhancement and photo editing. The customer was very particular about vendor conformity to a particular style of work and therefore was on the lookout for a suitable company that could deliver the goods according to its style of working. We have the requisite know–how in the use of high–end photo editing software, which enabled us to cater to the requirements of global portrait studios, logo design firms and real estate agencies among others. 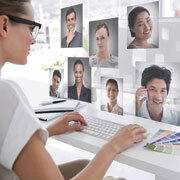 Our imaging professionals are proficient in using different software such as Adobe Photoshop CS6, among others. We also have a stringent quality control process in place. Since the customer had never availed our services in the past, the first thing we did was to provide the customer with a free trial of our imaging services. As we had expected, the customer was very satisfied with the trial. While doing the free trial for the customer we learnt a lot about the customer’s particular style of working. Content with the quality of our work, the customer agreed to outsource his photography–related work to us. At first, the customer wanted to test the waters and outsourced only a part of his work to us. After two months of availing our services partially, he was satisfied with the progress and quality of our work and decided to outsource his entire photo enhancement and editing work to us. Now, we have a team of dedicated professionals handling the customer’s entire vista of image editing and enhancement requirements. The team processes around 200 to 400 high–end images per week that is sent by the customer. We are proud to say that every set of images that the customer sends us is processed and returned to the customer within three working days. This is exceptionally quick service, as compared to the slower turnaround time offered by other service providers in the photo editing and enhancement industry. We offered highly competitive rates for the service provided. We provided very high quality service to the customer. We were quickly able to decipher the customer’s requirements and thereafter follow the customer’s style guide for the work. As mentioned, our service turnaround time was and continues to be exceptionally fast compared to that provided by others in the industry. We are an experienced hand at this kind of service. We have offered image enhancement and editing services to other companies earlier, which enabled us to figure out the suitable solution for this customer’s needs. This project is an ongoing one and we continue to bring every assignment given to us by the customer to quick and fruitful completion. It would also be pertinent to say that we have yet another very satisfied and steady customer!